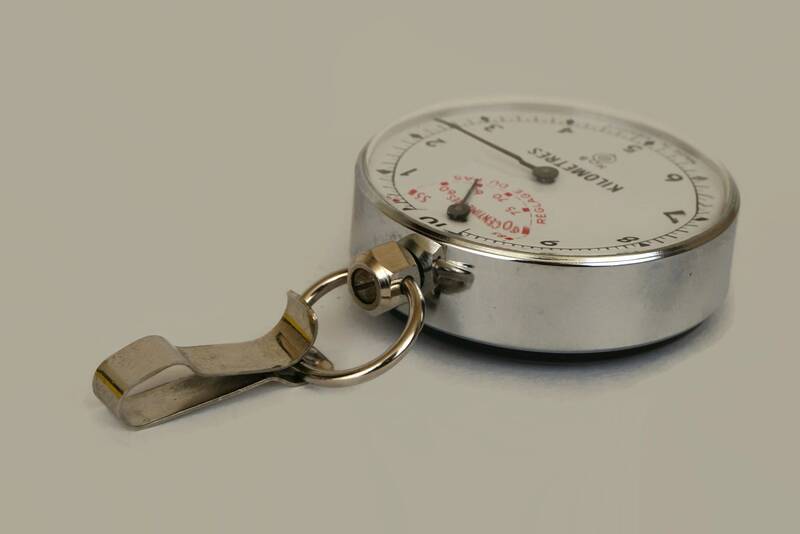 A vintage step counter and activity tracker dating from the mid century. 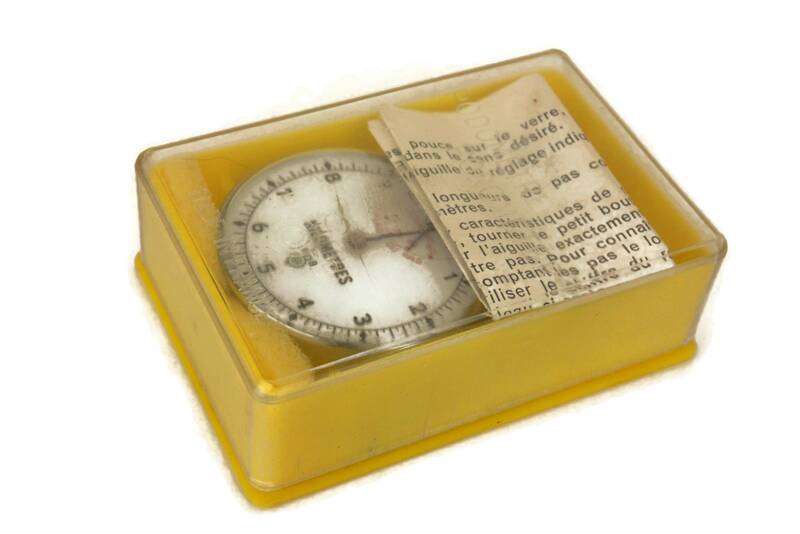 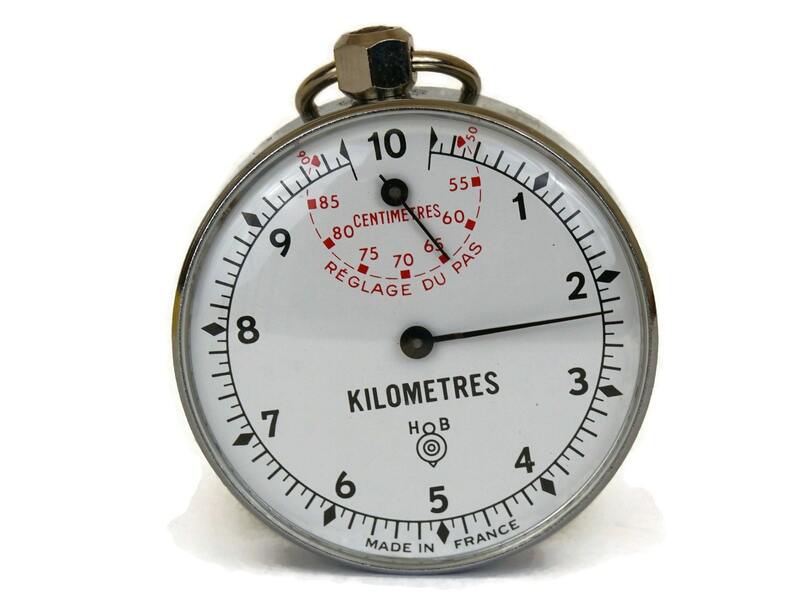 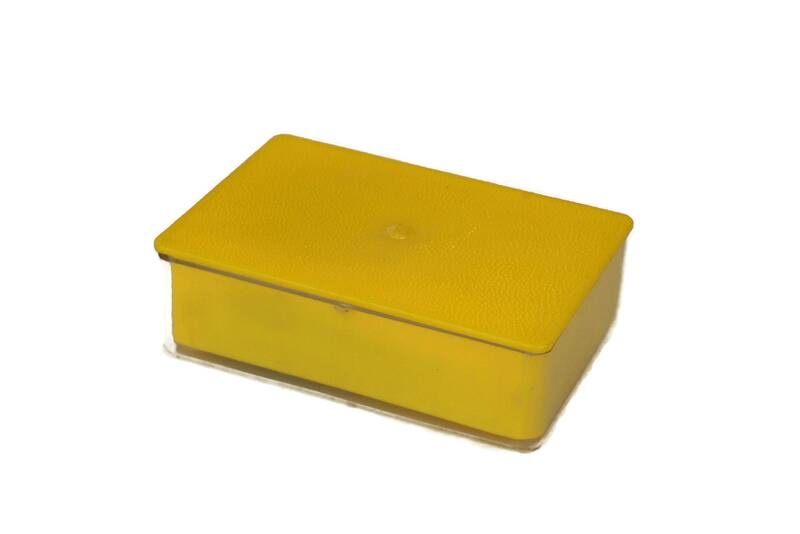 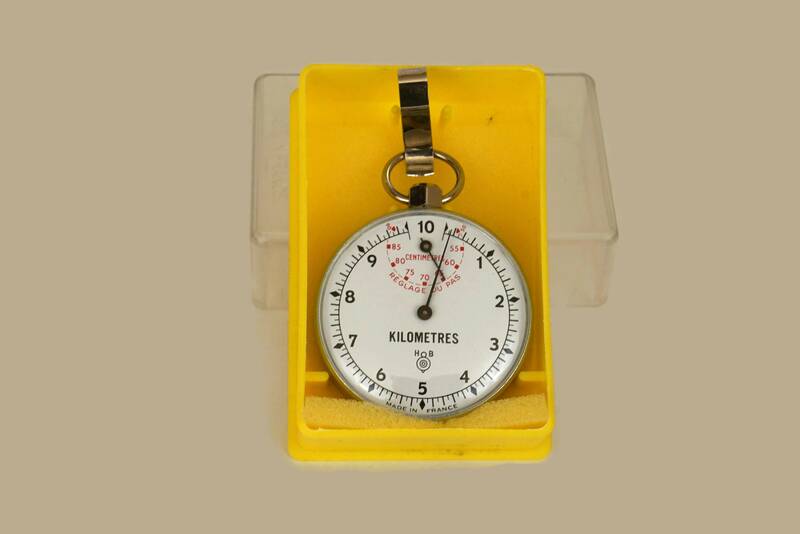 The mechanical pedometer was manufactured by the French company HB and comes presented with its original plastic box. 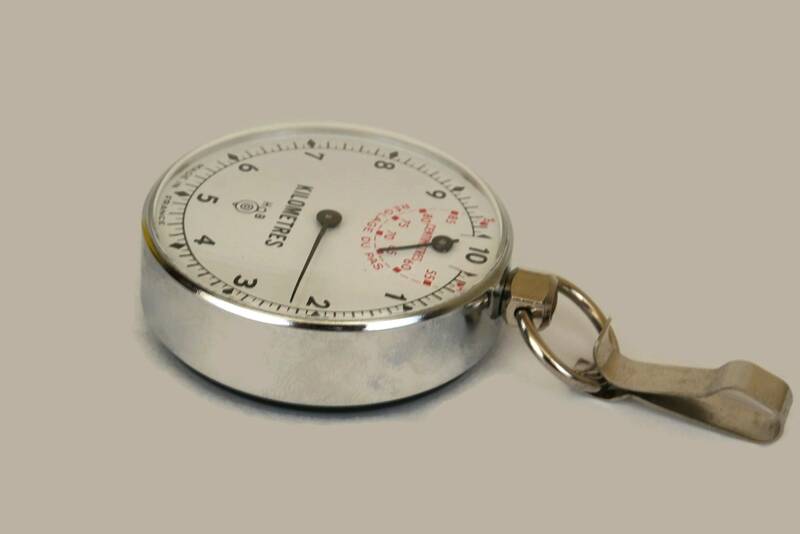 The step counter has a metal casing and features two dials. 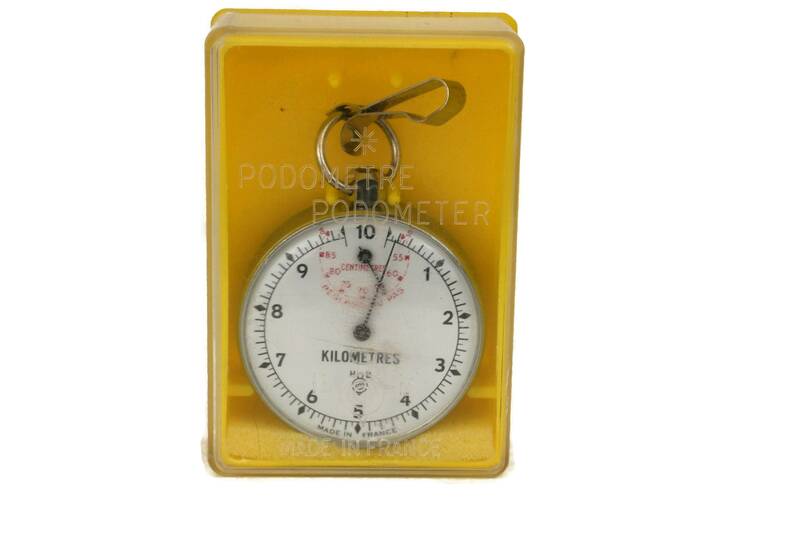 One is to personalize the size of your steps and the other measures the distance covered in kilometers. 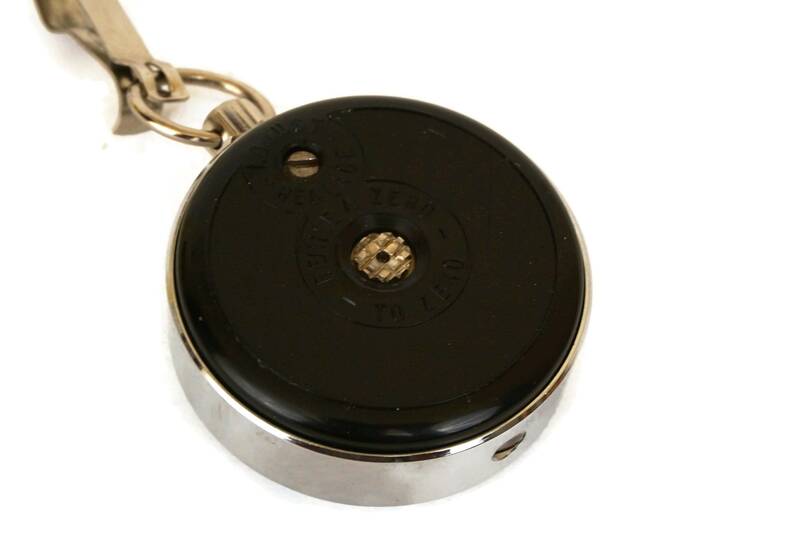 It has a clip attached at the top for attaching to a belt loop. 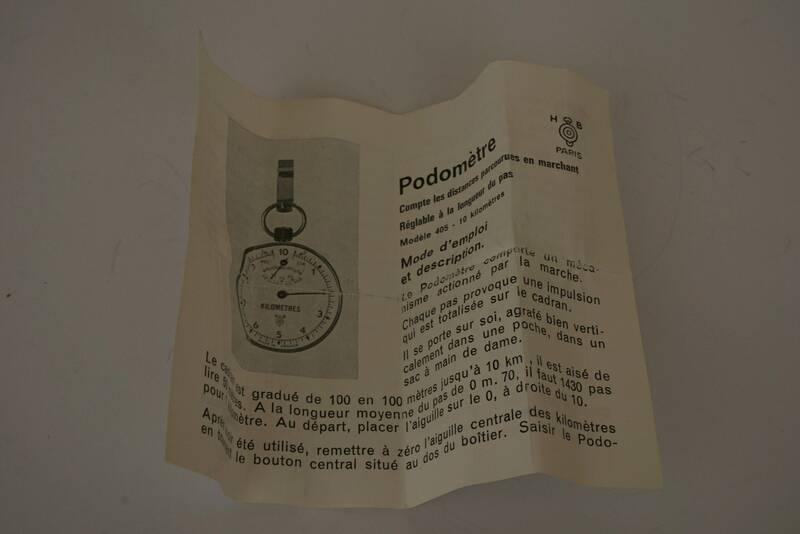 The heath and fitness tracker comes with an original instruction sheet printed in French. 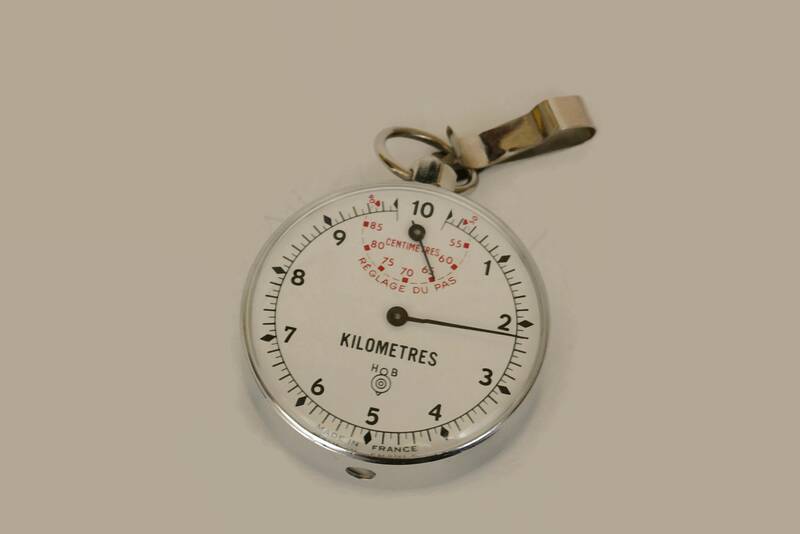 (8 cm x 5 cm).